January 10, 2012 - OAG, the global leader in aviation intelligence and a UBM Aviation brand, on Monday released the latest in its series of Aviation Market Reports. This new report explores the implications of the European Union’s Emissions Trading Scheme for the aviation industry. 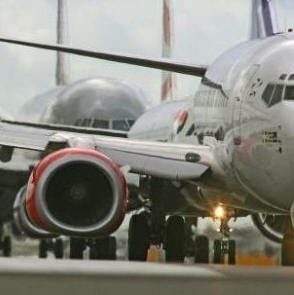 Airlines operating flights within Europe become subject to the EU ETS initiative this month, January 2012. The extension of the ETS, now operating in 30 countries (the 27 EU Member States plus Iceland, Liechtenstein and Norway), to cover CO2 emissions within the Aviation Industry compels almost 500 passenger-carrying airlines to join the scheme. OAG analysis of the ETS calculation process reveals that the knock-on effect of this estimated EUR €3.5bn cost to the aviation sector could increase passenger fares by up to 5.2% on key long-haul routes. The inclusion of aviation within the ETS is not without its controversy. In addition to airline groups and individual countries publicly voicing their opposition to the initiative, the US House of Representatives (24th October 2011) passed a bill prohibiting US airlines to participate in the EU scheme. “There are only two scenarios for airlines from 2012 – to pay ETS charges or to use non-EU points to stop-off to pay less,” said John Grant, Executive Vice President, UBM Aviation. “This not only has significant ramifications for airlines’ operating costs, it also carries the very real threat of slowing, or in extreme cases eradicating, airport network driven economic growth within the EU”. The European Union Emissions Trading Scheme (EU ETS) also known as the European Union Emissions Trading System, was the first large emissions trading scheme in the world. It was launched in 2005 to combat climate change and is a major pillar of EU climate policy. The EU ETS currently covers more than 10,000 installations with a net heat excess of 20 MW in the energy and industrial sectors which are collectively responsible for close to half of the EU's emissions of CO2 and 40% of its total greenhouse gas emissions. Under the EU ETS, large emitters of carbon dioxide within the EU must monitor their CO2 emissions, and annually report them, as they are obliged every year to return an amount of emission allowances to the government that is equivalent to their CO2 emissions in that year. In order to neutralize annual irregularities in CO2-emission levels that may occur due to extreme weather events (such as harsh winters or very hot summers), emission credits for any plant operator subject to the EU ETS are given out for a sequence of several years at once. Each such sequence of years is called a Trading Period. The 1st EU ETS Trading Period expired in December 2007; it had covered all EU ETS emissions since January 2005. With its termination, the 1st phase EU allowances became invalid. Since January 2008, the 2nd Trading Period is under way which will last until December 2012. Currently, the installations get the trading credits from the NAPS (national allowance plans) which is part of each country's government. Besides receiving this initial allocation, an operator may purchase EU and international trading credits. If an installation has performed well at reducing its carbon emissions then it has the opportunity to sell its credits and make a profit. This allows the system to be more self contained and be part of the stock exchange without much government intervention. In January 2008, the European Commission proposed a number of changes to the scheme, including centralized allocation (no more national allocation plans) by an EU authority, a turn to auctioning a greater share (60+ %) of permits rather than allocating freely, and inclusion of other greenhouse gases, such as nitrous oxide and perfluorocarbons. These changes are still in a draft stage; the mentioned amendments are only likely to become effective from January 2013 onwards, i.e. in the 3rd Trading Period under the EU ETS. Also, the proposed caps for the 3rd Trading Period foresee an overall reduction of greenhouse gases for the sector of 21% in 2020 compared to 2005 emissions. The EU ETS has recently been extended to the airline industry as well, but these changes will not take place until 2012. OAG, a UBM Aviation brand, is the trusted source for aviation information and analytical services, with data sourced from OAG’s comprehensive and proprietary airline schedules, flight status, fleet, MRO and cargo logistics databases. OAG airline schedules database holds future and historical flight details for over 1,000 airlines and more than 4,000 airports. OAG aggregated data feeds the world’s global distribution systems and travel portals, and drives the internal systems of many airlines, airports, air traffic control systems, aircraft manufacturers, and government agencies around the world.